The peak season for trout on the loughs around the country is almost upon us, and there have been a few sightings of olives and even mayfly hatching. Having not cast a fly since last summer I was keen to wet a line and make sure my lines, leaders and flies hadn’t rotted away or been eaten by mice! (has happened before!). 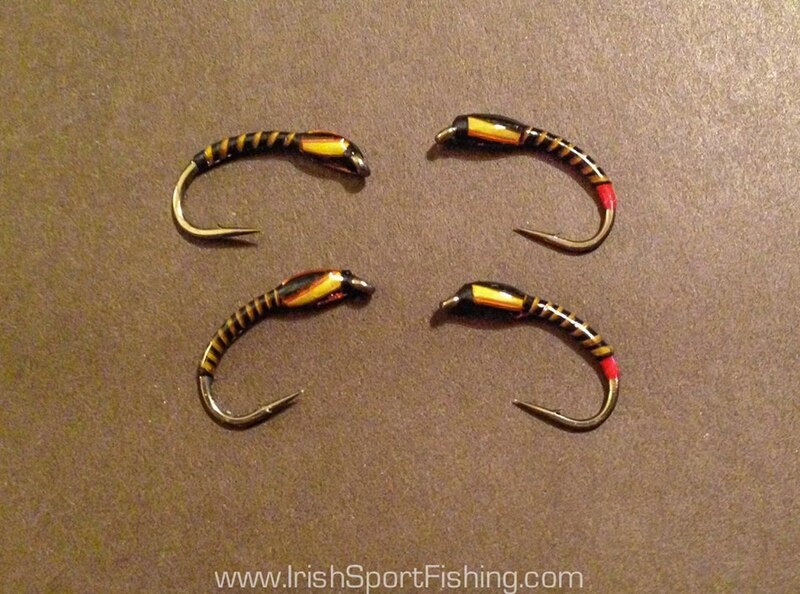 I was also keen to try out a few flies I had tied so I went for a short last-minute session to test everything out. There were fish showing in the shallow water of one particular bay so I quickly set up and got to work. The flies worked very well! I ended up with a good bag of fish, and even managed to hook two at once. I had a couple of fish on a small shuttlecock, and the rest on buzzers (orange, red and yellow). It was good to get out, and I’m looking forward to fishing the bigger loughs over the next few months. This entry was posted on April 24, 2014 by steve and tagged angling in ireland, angling ireland update, buzzer fishing, Fly Fishing Ireland, Irish Sport Fishing, trout buzzers, trout fly fishing.